Does your iPad not produce sound in certain apps? Maybe it works fine while playing music or streaming YouTube videos but some games or apps are completely muted. Sound problems like this can be hard to troubleshoot because you might hear sound from one app one day but then it's muted the next. Or maybe you're using the app for a moment, open another app, and then return to the first one to find that it's suddenly no longer making any sound. If you've already tried rebooting the iPad but found that to be of no help, and you know that there isn't a pair of headphones plugged into the headphone jack, there are a couple other things you can try. 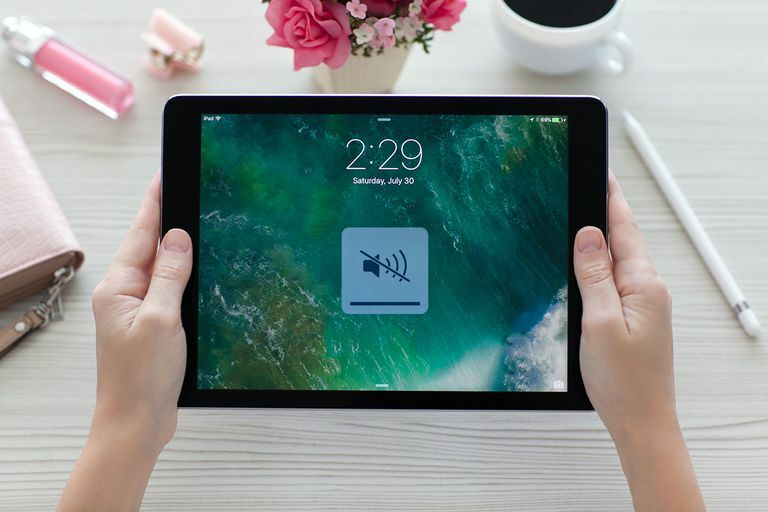 Unmute the iPad: Given that there's a button for muting your iPad right within the easy-to-access Control Center, it's easy to understand how you might accidentally mute the iPad. What's strange is that even with a muted iPad, some apps might still make noise just fine regardless of that setting. Open Control Center by sliding your finger up from the very bottom of the screen to reveal a menu. Make sure to actually drag from the very bottom of the screen — you can even drag up from the outer edge of the screen to make sure you latch on to the bottom. Look for the mute button. It's muted if it's highlighted, just tap it once to unmute the iPad. The mute button looks like a bell (it might have a slash through it on some iPads). Turn up the volume from within the app: It's possible that the system volume is turned up and the iPad is not muted, but the app itself needs the volume turned up. This can happen if you're using one app to play sounds but then open another that also requires sound, and then return to the first. Open the app that isn't making any noise. Use the volume up button on the side of the iPad to turn the volume up, but make sure you do so with the app open. Check the sound within the app's settings: Most video game apps have their own volume control, and when this is the case, they normally let you mute the game sounds or even just the background music. It's possible that you have one or both of those settings turned on, effectively muting the app. Go into the settings for that app (i.e. open the app and look for a "Settings" area) and see if you can toggle the sound back on. Check the side switch: Older iPad models have a switch on the side that can mute and unmute the tablet. The switch is right beside the volume controls, but if it doesn't mute the iPad when you toggle it, it might instead be configured to lock the screen orientation. It is possible to change the behavior of the iPad side switch within settings if you want to use it to mute or unmute your iPad.